Is the state of Oral Health in the Philippines good? Filipinos generally think so. If you factor in the Philippines' ranking 5th as the world's happiest country according to Gallup poll, Filipinos are one of the top five happiest citizens in the world. In fact, we can still manage to give a faint smile during hard times. We wanted to believe that as a society we are a happy, smiling nation. But that does mean we are confident in our individual state of oral health? In reality, when we are asked to smile in front of the camera, we tend to cover our mouth to hide our teeth. That's the plain sad truth. Twice a year visit to the dentist is often neglected thus, causing all sorts of oral health problems. We would never forget to wash our hands before we eat but more often than not, we forget to brush our teeth after every meal. Poor dental hygiene results to gum disease, tooth decay and even halitosis or bad breath. Take the initial step to proper oral care and help improve our country's state of oral health by using the right toothbrush- Oral B Pro-Health Cross Action. 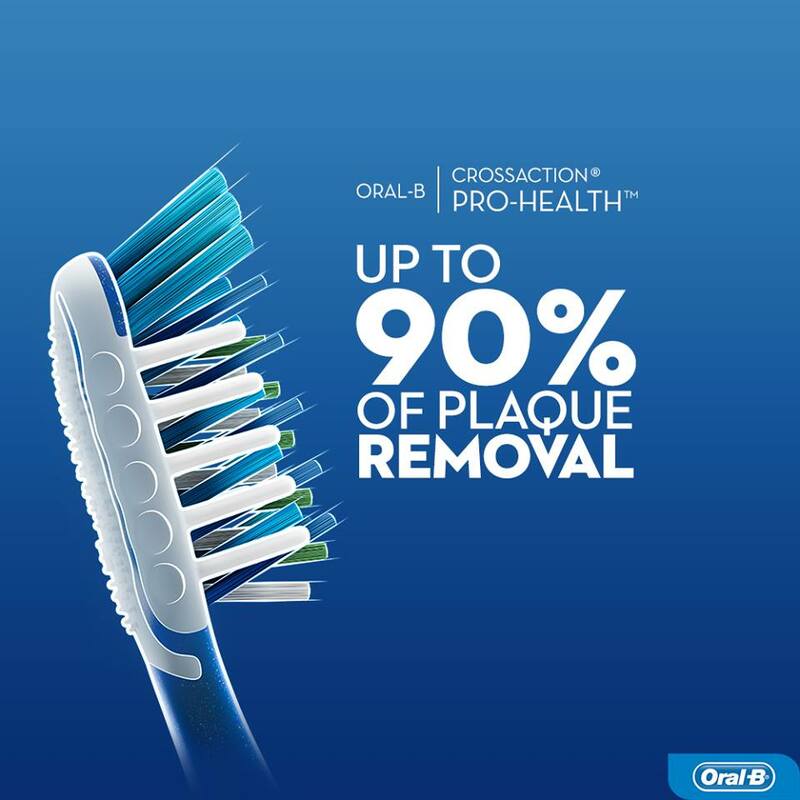 It provides superior cleaning with its perfect 16-degree angle brush to remove up to 99% of plaque in hard to reach areas and help prevent oral health problems.